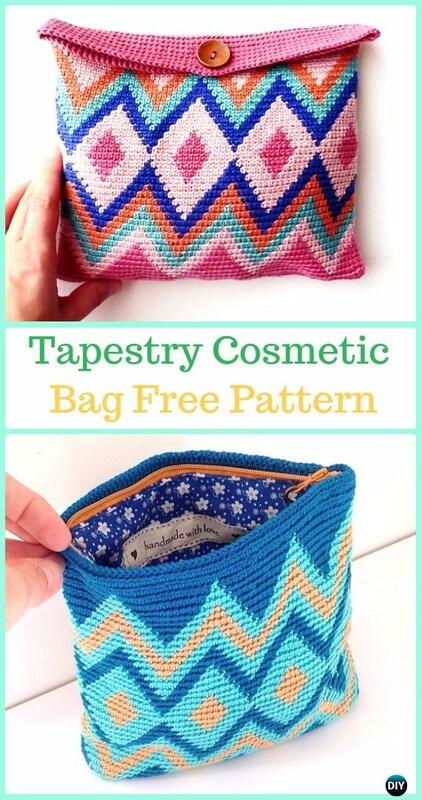 A Guide and Collection of Mochila Tapestry Crochet Free Patterns and inspirations. This trend of tapestry crochet has been getting popular quietly around the world, and if you want to bring this exotic tribe touch of crochet technique into your home and fashion this year, don’t miss out the collections and tips our Crochet Channel has gathered here. It is super fun to use each stitch as a pixel and design those patterns, by crochet yarns of different colors together, and switching with yarn over other colors in progress. 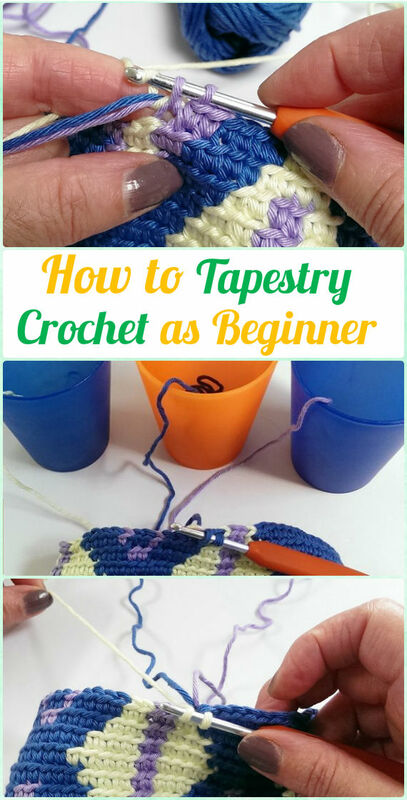 Scroll down and see how to start your own tapestry crochet with some useful tips and patterns to help you get hang out of it. First we need a detailed introduction on tapestry crochet, there are many tutorials around the line, and we picked the following tapestry crochet with step by step picture instruction as well as written pattern by Julie Harrison from Little Woolie Blogspot. There are some other crochet guides from Red Heart and Mama in a Stitch that we recommend if you are just learning this fun crochet technique. Crochet along more than 2 colors you may use in a project as following, especially with the bags which need to crochet all yarns into patterns as bottom. Tangling is one of the major problem to conquer if you crochet with more than 2 colors of yarn, organize your yarn in holders is one of the best way to keep your crochet in smooth. Here is a nice top to prevent yarn from tangling. José Visser, senor knitter tells how to do tapestry crochet with tips to prevent tangling, change colors, crochet perfect flat work and more on her blog. And a video that can help prevent your crochet process from being a mess.